Past research has shown plenty of great reasons to stay physically fit. Aside from being good for your physical health, regular exercise has been shown to be good for your brain. Some research shows that it might even make you smarter. And, as if you needed one more reason to hit the gym, one study has shown that being fit can help minimize the inevitable brain shrinkage that stems from the aging process. Researchers from the Boston University School of Medicine found that people who were in poor physical fitness during their 40s had significantly lower brain volumes by the time they reach age 60. Experts consider this decrease in brain volume a sign of accelerated aging of the brain. The researchers explain that while people often don't start to worry about the aging process until they get much older, the results of their study indicate that younger people should consider their brain health early on. "Many people don't start worrying about their brain health until later in life, but this study provides more evidence that certain behaviors and risk factors in midlife may have consequences for brain aging later on," said Nicole L. Spartano, Ph.D., the study's lead author. How did the researchers discover this reduction in brain volume? The study involved reviewing exercise data from more than 1,200 adults who were around the age of 40, all of who are part of the larger Framingham Heart Study. When these participants were given MRI scans 20 years later, those who were less fit in midlife had much lower levels of brain tissue later in life. More specifically, they found that individuals with low fitness levels had a much higher rise in diastolic blood pressure after just a few minutes on a treadmill moving at a slow pace. It was these individuals who were more likely to have reduced brain volume at age 60. Why? The researchers explain that people who are not fit experience more spikes in blood pressure and heart rate in response to even low levels of activity compared to people who are physically fit. "Small blood vessels in the brain are vulnerable to changes in blood pressure and can be damaged by these fluctuations," Spartano said. "Vascular damage in the brain can contribute to structural changes in the brain and cognitive losses. In our investigation we wanted to determine whether exaggerated blood pressure fluctuations during exercise were related to later structural changes in the brain." The researchers also conducted cognitive tests with participants starting at age 60. They found that those who had lower fitness levels in midlife also did worse on these cognitive tests than did those who had been fit during their 40s. While the reality is that some brain shrinkage as you age is simply inevitable, the results of this study from Boston University researchers suggests that there are steps you can take to minimize this shrinkage and protect your brain from some of the damaging effects of aging. The results echo previous findings that being physically fit early in life (around age 25) lead to better cognitive performance in middle age. The researchers also suggest that seeing how these participants fare in the future might also provide important information about the importance of exercise and brain health. Additional follow-ups over the next decade will look at how many of those in the study end up developing dementia as they grow older. Do you want to start protecting your brain now from the damages of the aging process? 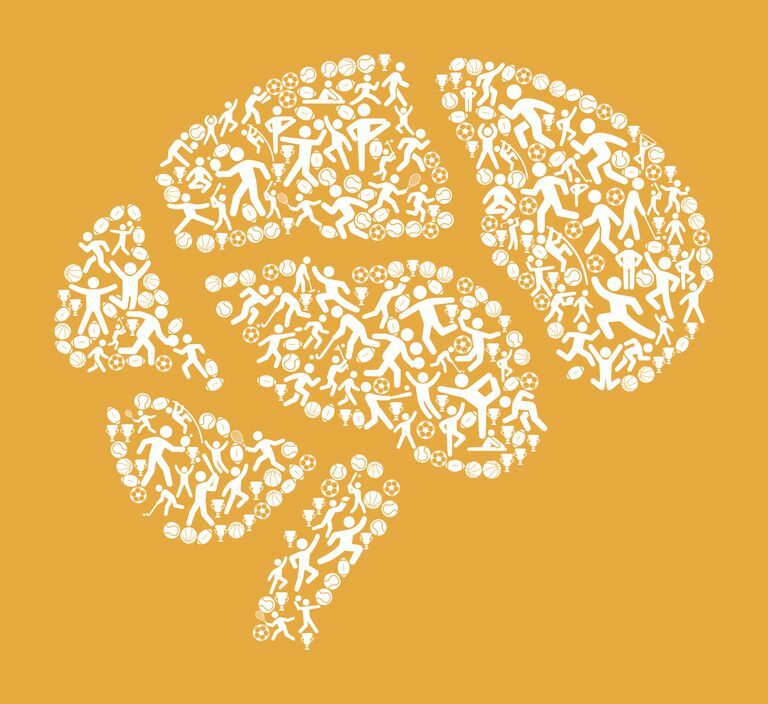 Learn more about some of the different ways that exercise is good for your brain. Zhu, N., Jacobs, D. R., Schreiner, P. M., Yaffe, K., Bryan, N., Launer, L. J., Whitmer, R. A.... Sternfeld, B. (2014). Cardiorespiratory fitness and cognitive function in middle age: The CARDIA study. Neurology, 82(15). DOI: 10.1212/WNL.0000000000000310.